Stay up to date with everything happening around the league by following TCHC on social media. 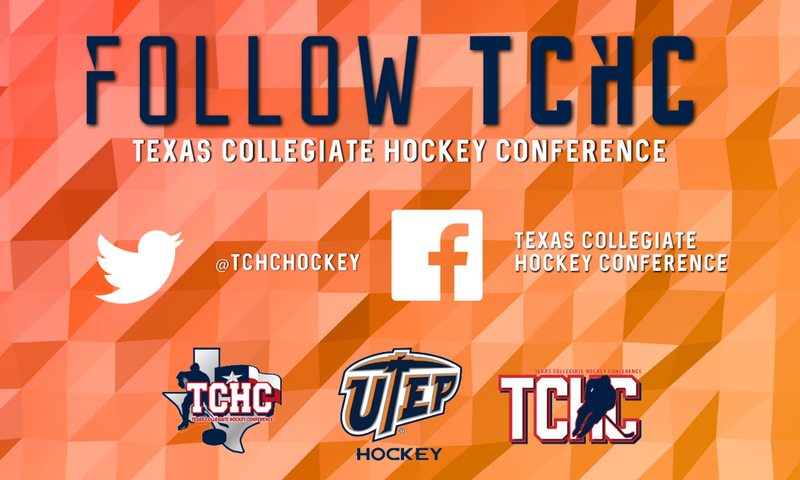 Founded in 2016, the Texas Collegiate Hockey Conference (TCHC) is divided into two divisions. The Miners will compete in the South Division against Texas State University, Texas A&M, and the University of Texas. The North Division consists of Texas Tech, TCU, University of North Texas and Dallas Baptist. Follow TCHC on Twitter and Facebook! 2016-17 Season Tickets are on sale now! To purchase CLICK HERE or call our ticket office at (915) 491-7879.